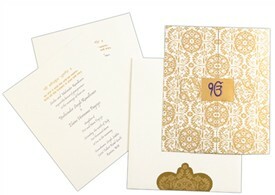 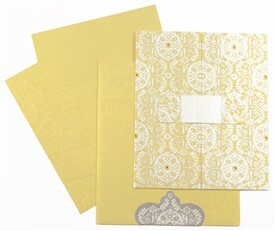 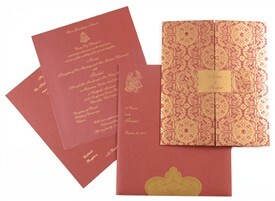 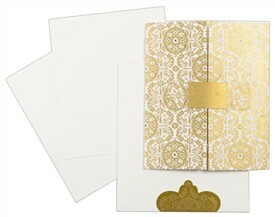 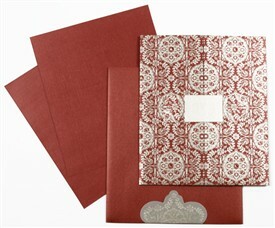 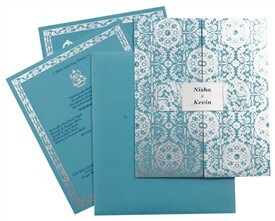 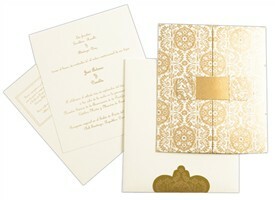 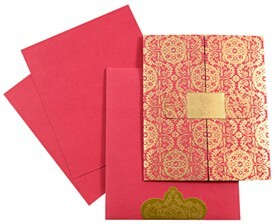 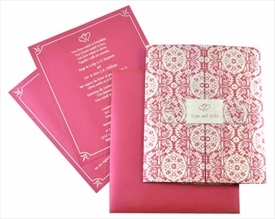 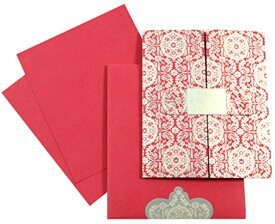 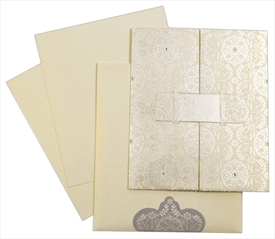 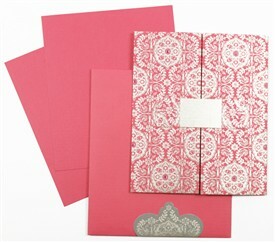 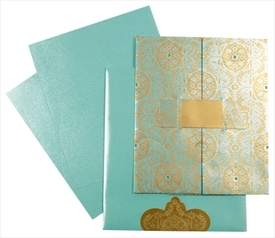 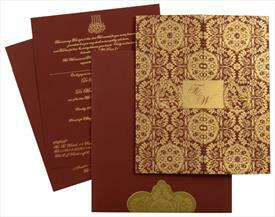 D-5916, Red Color, Designer Multifaith Invitations. 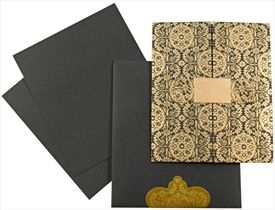 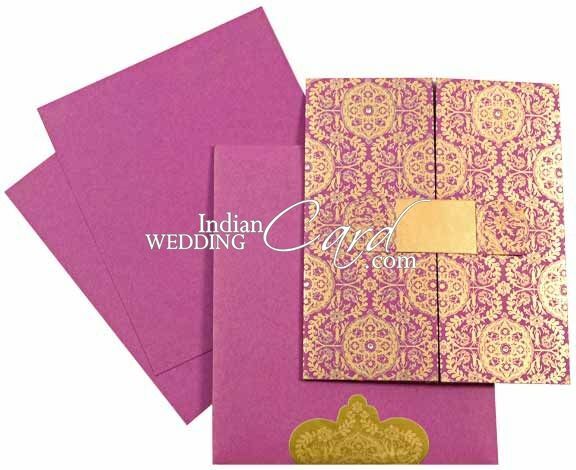 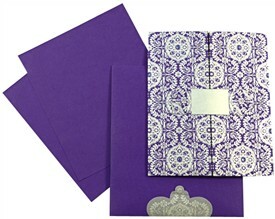 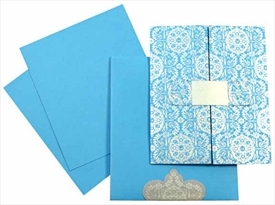 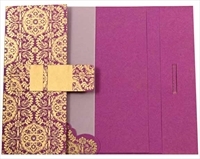 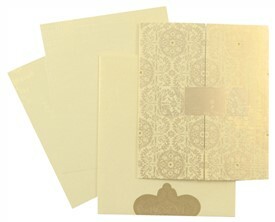 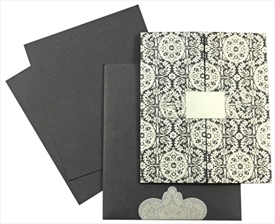 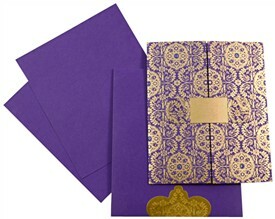 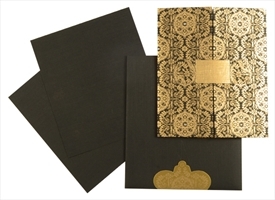 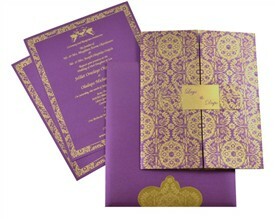 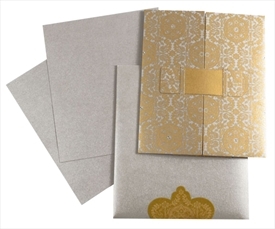 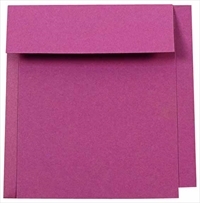 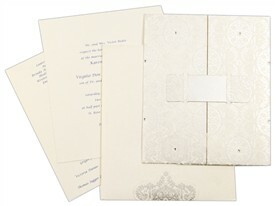 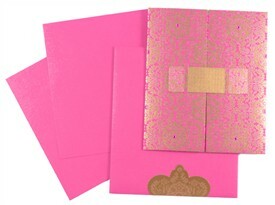 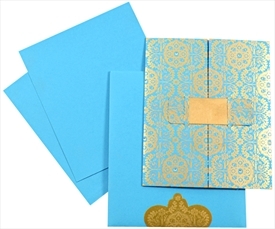 Plum color paper (250gsm) for door open style card, inserts and envelope. 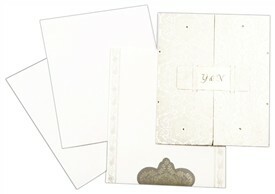 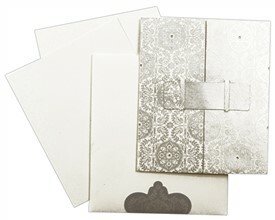 Translucent tracing paper vertical pocket holds the 2 inserts.